Without people like you, we wouldn’t be able to make a positive impact on Ireland’s hungry and homeless. There’s a million and one ways that you can fundraise for Merchants Quay, check out some of the tips below. Some great ideas we’ve had over the years include organising a coffee morning. This is always a great idea, as there’s nothing like getting everyone together over a nice cuppa and some cake! Cycling is another great idea, you’ve probably seen a few people doing static cycling in your local supermarket. If you’re a leisure cyclist who likes a challenge you can organise your own fundraising cycle for MQI, people often raise money for MQI by taking part in the Great Dublin Bike Ride, Ring of Kerry or even the Tour De Connemara. You can create an Event Page to fundraise for Merchants Quay over on JustGiving. If these ideas aren’t for you, you can always come up with your own unique event to fundraise for MQI. 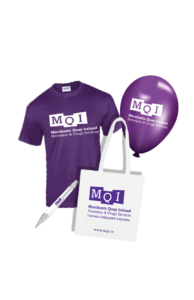 You can email our fundraising team at fundraising@mqi.ie with your ideas and receive your own fundraising guide and pack which contains lots more fundraising ideas that may spark you imagination. Make sure your event is detailed as it can be! i.e do you need volunteers, are you going to sell tickets? After your event is over, make sure to plan out how you are going to look after the money you raised. And always, always, always, make sure to thank everyone that helped you out. Even a phone call or a nice message is always a good touch.